If you have any information about good camps to put on our list, good scholarships that we can add to our sponsorship list, or if you’d be willing to be a driver on our list, then please get in touch with us at camp@tecare.org. We also welcome donations toward this important program. If you are a family who could use this assistance, please check out our Camp Assistance Page. Once again it was an amazing summer with our summer camp program. We supported 75 students (from 47 different families) at 35 different area camps! Lots of soccer, basketball, swimming, cooking, and drawing was enjoyed this summer. We paid over $17,000 to support 70 of the kids, and 16 received scholarships to some camps. Let me start by saying thanks for everything, t&e care has been a blessing! My children had the best time at camp. They made lots of friends and memories. We really appreciate everyone’s time and effort to make this camp experience one to remember. Looking forward to next year! 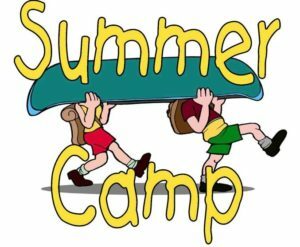 A HUGE thanks to Charu Gandhi, Allyson Hotz, Kristen Becket, Story Picard, and Mary Saylor for all their efforts coordinating the camp payments and scholarships with the families. What a great crew! And last but never least – thanks to Cindy Gilroy for organizing the drivers for the few kids that needed this assistance – and to Stacy Stone, Bill Bellew, and John Novak for their willingness to drive! Giving up days to offer this support is the most amazing donation of all! See HERE for information about past camp programs.